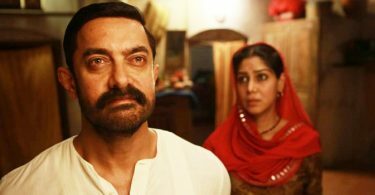 Aamir Khan’s Dangal has crossed the 1000 crore mark worldwide and the film could challenge the worldwide record of Bahubali 2 – if it continues it record-shattering run in China. 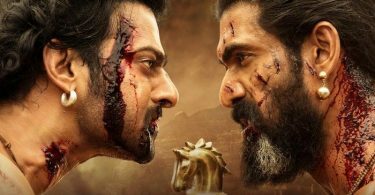 Bahubali 2 will soon cross the 1300 crore mark worldwide, but the worldwide business of the film is likely to slow down in the next couple of weeks. But the trend of Dangal in China is extraordinary and the collections continue to improve. The second Saturday collections was nearly 3 times more than the first Saturday. The film could more than double its China collections from here, which would mean Dangal is now targeting a 1500-crore worldwide total. If it continues to outperform, Dangal could soon surpass Bahubali 2 by a big margin in the next few weeks. It’s Aamir Khan once again, single-handedly leading by example for the Hindi Film Industry – amidst all the criticism that it is facing after the super-success of Bahubali 2. Check out the worldwide collections of Hindi films, Dangal leads by a huge margin. It is just a 70 cr budget film made with honesty, sheer hard work and brilliance of Aamir khan..
Dangal definitely cross bahubali2 worldwide collection…Dangal is crossing hollywood big movies ,then what is the matter of bahubali2..
1st Bollywood Movie To Cross 1000Cr . Misale di jaati hai bhuli nhi jaati..
Misaal bn Gyi Dangal pr aise hi nhi Pyaar Se mehnat se Lagan se.. When will south indian audience accept a bollywood movie in the same way? ? bolly hits always work in south india but never earn the amount regional films earn there..from bengal to punjab to orrisa to gujarat to even china despite presence of local industry & regional language, bolly got whole hearted acceptance everywhere except our southern india. Unbelievable.. Aamir khan single handedly challenging or possibly beating a mega blockbuster like bahubali 2 is something that needs to be admired and acknowledged by one and all..Its been 9 years since aamir khan is leading by an example for bollywood when it comes to lifetime collections.. This man is a Legend.. Thanks aamir for giving a mouth shutting reply to bahubali 2 and south industry … It was must because from last 3 weeks they are Bollywood is nothing in front of tollywood .. This reply was must now want salman Bhai and king Khan srk to show the stardom they have and give another mouth shutting reply to south peoples .. ! Where is ur source of China collections @ Indicine? Keep hyping it up from Dangal team just because of Bahubaali 2 release. Aamir khan comes up As A Savior Of Bollywood. All The Bollywood Fans (Salman Srk fans etc) Should Be United For DANGAL. Don’t Forget How They ( Southies) Criticized Bollywood. TOH TUBELIGHT TZH REHNUMA Will show then What Strength Bollywood Has.